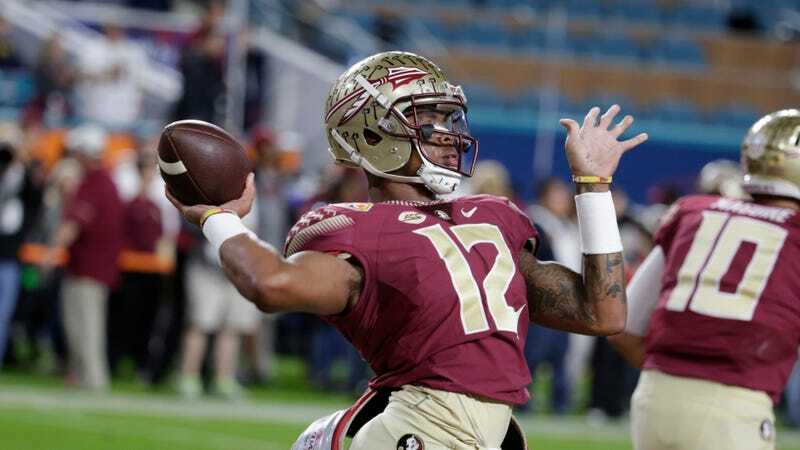 The Tallahassee Democrat is reporting that Florida State quarterback Deondre Francois is being investigated in connection with a domestic violence incident that occurred early Wednesday morning. State Attorney Jack Campbell confirmed there was a pending investigation regard Francois and his office was being consulted by TPD. “While it is a pending investigation it is confidential and we aren’t going to comment on it,” Campbell said. Francois started all 13 games for FSU as a redshirt freshman in 2016, but missed most of last season with an injury. Update (2:14 p.m. ET): Tallahassee PD has released an incident report. According to the report, Francois called the police after he and his girlfriend got into an altercation at their shared apartment. The report states that the responding officer was unable to establish probable cause and thus did not make an arrest. Update (5:02 p.m. ET): The Florida State Attorney’s Office has confirmed that it will not charge Francois.